It's difficult to convey the dynamic of Kaktovik after only spending four days visiting in early October, never seeing the cloud obscured Brooks Range, having only a couple of hours of filtered sunlight and no clear nights to observe the Aurora Borealis. Kaktovik is on the north shore of Barter Island on the Beaufort Sea in northeast Alaska and is the only settlement within the 20-million-acre Arctic National Wildlife Refuge. Prior to the 1950s, the area had no permanent residents. Workers arrived during the construction of a runway and a Distant Early Warning Line station, one of a series of Cold War radar stations built in the far northern Arctic. Today, it is an Iñupiat community of less than 300 people in which subsistence hunting, fishing and whaling play a major role in the local economy and it is the only North Slope Borough community to feature a whale bone yard that attracts dozens of polar bears each fall. 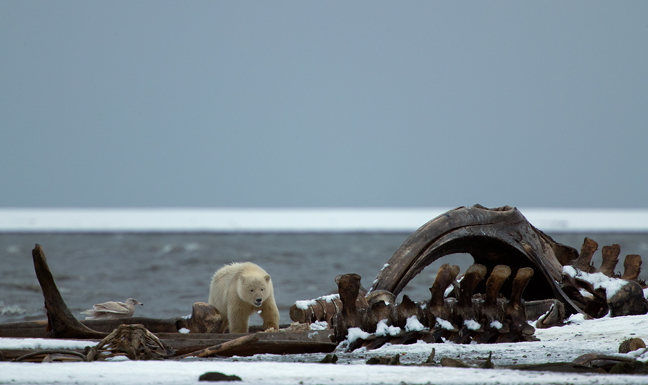 For the past two decades, following the annual subsistence hunt, whale carcasses have been piled on a narrow spit of land adjacent to town and dozens of polar bears, mostly sows with cubs and young males show up to feed. 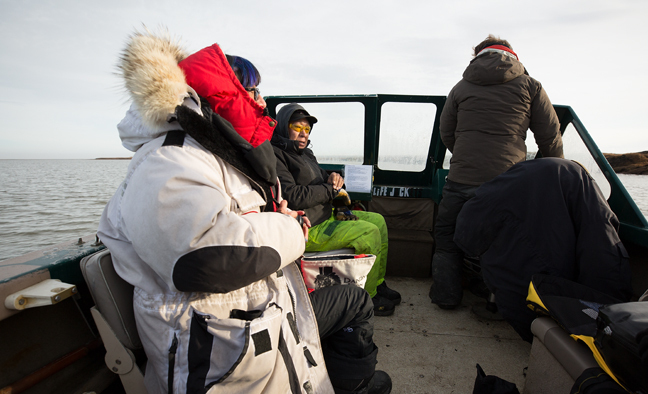 There are two hotels in Kaktovik and a couple of local vendors with boats and trucks who can get you close to the bears during the few weeks between the harvest and the icing of the waterways. I traveled with Jack Kayotuk who has spent his life living in and along the Arctic and Steve Kazlowski, who has photographed polar bears throughout the region for two decades. They don’t have the fanciest boat or nicest truck. 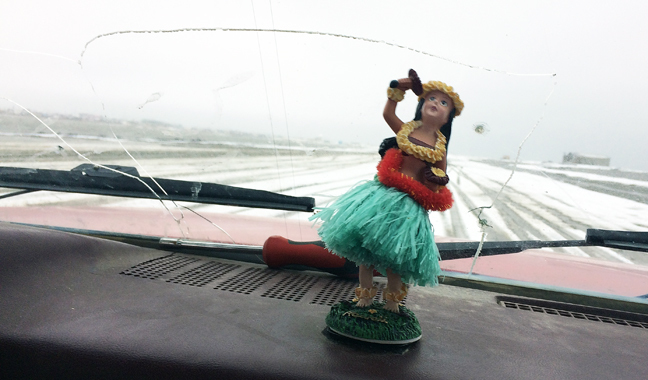 In fact, the small boat we used had no protection from the elements and the vintage red four-door pick-up's dancing dashboard hula dancer was about the only part of the truck that still worked like new. That said, you don’t go to Kaktovik to be comfortable and their concern for safety, care for their guests and love of the land and wildlife more than compensated for their well-worn vehicles. Lodging at the Waldo Arms is equally unique. It is actually a maze of metal trailers and storage buildings bolted together. Closet-sized rooms are shared, the one men's room is communal and the artwork is a series of wall mounted Arctic-themed jigsaw puzzles. However, the homemade comfort food is both hearty and filling, there are fresh baked goods and a stocked fridge available 24/7 and aside from a few drafty hallways the heat is always on, perhaps a bit too much so, but always provides a welcome contrast to the gray and cold exterior. During my stay, winds gusted to 60 mph and daytime temperatures hovered in the low 30s. There were only two other guests in my group, my roommate, Steve, from Vermont and Susan, from Tucson. They were both wonderful and always willing to put up with my unnerving silence and desire to stay out in the cold, snow and rain until the last ray of light faded into grayness. We observed a lot of bear behaviors and counted at least two-dozen different bears. It was a unique experience and is an iconic place that has become more and more political and regulated throughout the past two decades, even without getting into a discussion of the ethics and politics of aboriginal subsistence whaling. 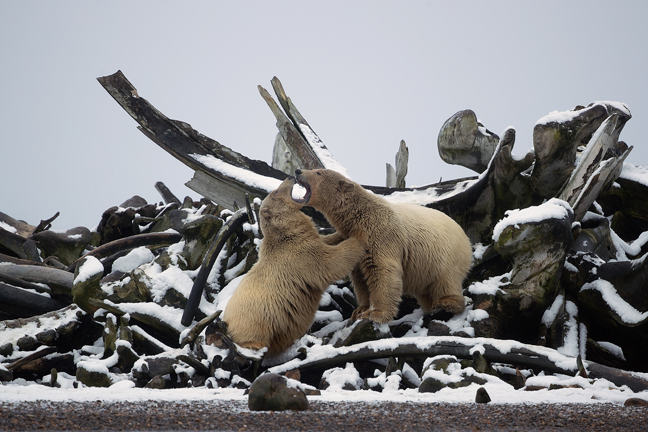 This year, the bears that arrived in Kaktovik were healthy and satiated, but that is not an accurate indicator of the health of the species or the Arctic. The Arctic Report Card, a peer-reviewed source for concise environmental information on the current state of the Arctic, reported that the average surface air temperatures for the year ending September 2016, were by far the highest since 1900 and new monthly records were recorded for January, February, October and November. The spring snow cover in the North American Arctic was the lowest since satellite records began in 1967. 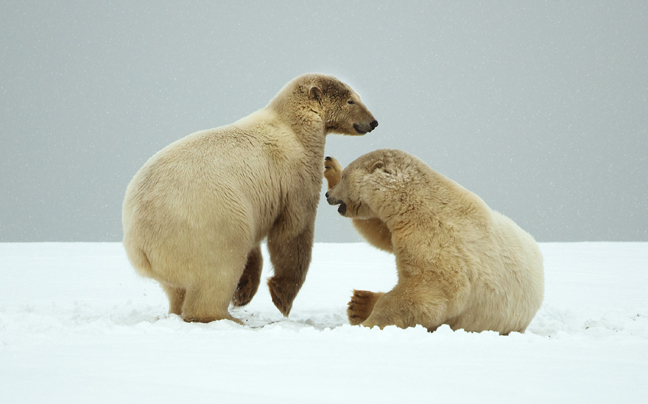 There are currently 1,200-1,800 polar bears in Alaska. Due to decreasing Arctic sea ice habitat, polar bear populations are expected to decline more than 30 percent over the next three generations. 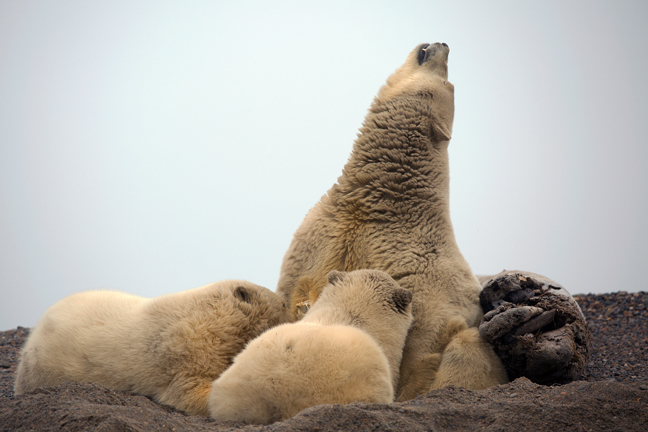 By all indicators, both the Arctic and polar bears are in trouble. Alaska natives have been hunting bowhead whales for thousands of years and the annual hunt is protected under the Marine Mammal Protection Act. The International Whaling Commission sets a quota and only registered members of the Alaska Eskimo Whaling Commission are permitted to hunt. The annual quota for Kaktovik is currently three bowhead whales. 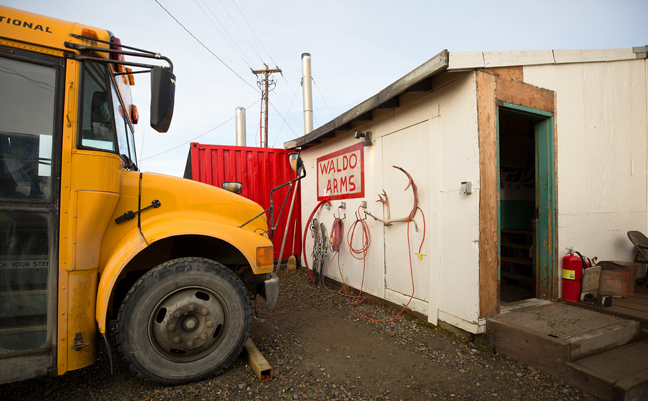 Kaktovik is the only community that leaves the bones to pile up on shore and the resultant bone yard has been growing for more than two decades. There are 11 Alaska communities that hunt whales for subsistence. Once caught, the whale is shared amongst the whaling crews and then dispersed throughout the community. 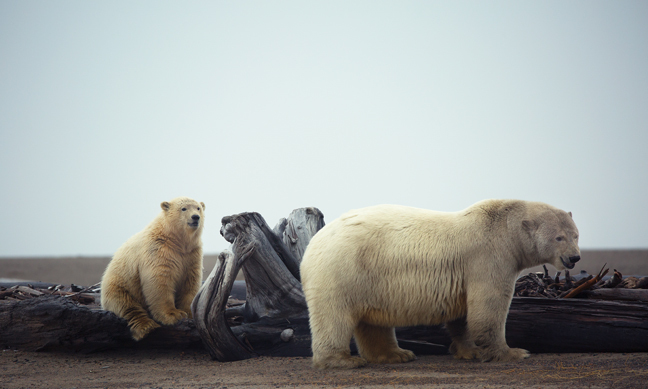 The Arctic is warming twice as fast as the rest of the planet and as a result, researchers have found that a larger proportion of bears in the region are spending an average of 20 percent of their lives on shore, compared with six percent two decades ago. We know that that sea ice is rapidly disappearing and forming further and further offshore over deeper water making it more difficult for polar bears to hunt their natural prey. The ice is also forming later and later each year. 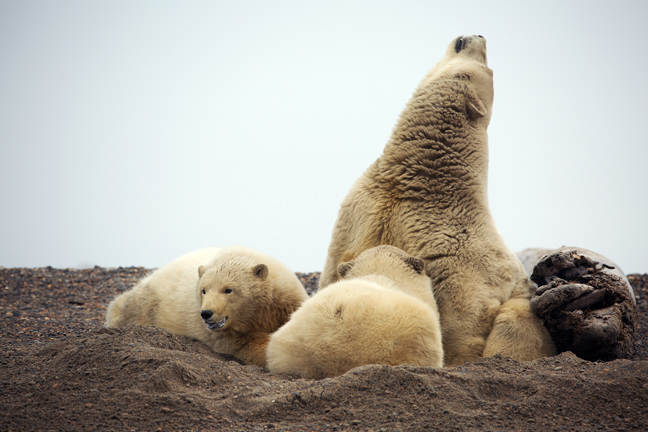 We also know that of the 19 polar bear populations across the world’s five polar range countries that the southern Beaufort Sea is one of three that is decreasing in number, having dropped from around 1,500 bears in the early 2000s, to just 900 in 2010. The International Union for Conservation of Nature’s Red List projects a reduction of more than 30 percent in the world’s total polar bear population by 2050. 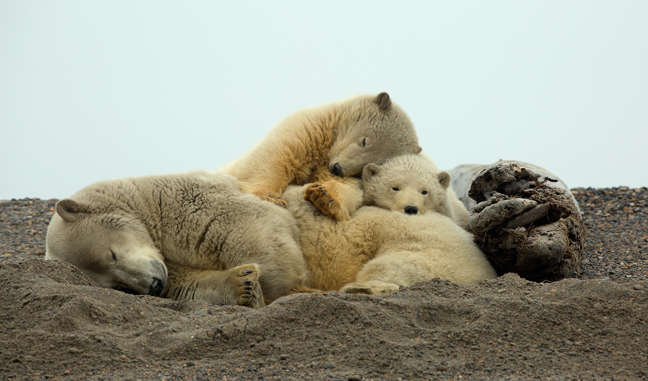 Kaktovik is one of the few places in the world where you can easily photograph polar bears at eye level. When feeding at the bone yard, they are very tolerant of vehicles and when not at the bone yard there is usually constant activity on a nearby barrier island just a short boat ride from the protected harbor. Once the village has met its aboriginal subsistence quota, there is an immense food supply easily accessible for the bears. The weather can be challenging, especially for day-trippers who have spent thousands of dollars and have only a few hours to photograph. The small boats become unsafe when the wind approaches 25-30 mph and changing tides often block trucks and buses from approaching the bone yard. Getting to Kaktovik can be equally challenging. For two days while I was there, no planes landed or departed due to high winds and fog. We only briefly met two of our scheduled group members who arrived the day we left. Once the village has met its aboriginal subsistence quota, there is an immense food supply easily accessible for the bears. The weather can be challenging, especially for day-trippers who have spent thousands of dollars and have only a few hours to photograph. The small boats become unsafe when the wind approaches 25-30 mph and changing tides often block trucks and buses from approaching the bone yard. Getting to Kaktovik can be equally challenging. For two days while I was there, no planes landed or departed dues to high winds and fog. We only briefly met two of our scheduled group members who arrived the day we left. Kaktovik is definitely a top destination for photographers who can afford to visit. The costs easily rival those of a high priced luxury African safari camp, although there are no luxury options in Kaktovik. Like those camps, it is difficult to know if the influx of wealth is actually good for a majority of the community. There are only a handful of licensed guides, two hotels and one commercial airline that services Kaktovik and there are few guarantees about the future as the many different permitting agencies have different agendas and plans for access to their lands. The entire industry could easily be shut down by any one of them. In addition to the monetary cost, there are the cultural and environmental costs to consider. An influx of 2,500 tourists each fall into a village of less than 300 residents has a lot of potential impact, especially considering the number of photographers who don’t understand how to behave or who fail to respect the Iñupiat community and culture. Environmental concerns include increased air traffic and resultant carbon emissions, the habituation of bears to increasing number of tourists, increased garbage, increased water demands and increased risk to citizens of bears coming into town. Warming Arctic temperatures have also melted traditional in-ground permafrost freezers that residents have relied on for more than a century to store subsistence whale meat (muktuk) after the harvest in Kaktovik, leaving them vulnerable to raids from bears. 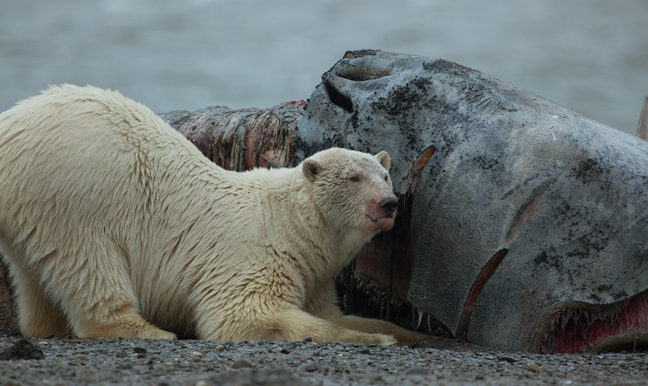 Polar bears can smell a carcass from almost 20 miles away, so they can easily find defrosted stashes of muktuk. Because of their high fat content, ringed and bearded seals are the primary prey of polar bears. 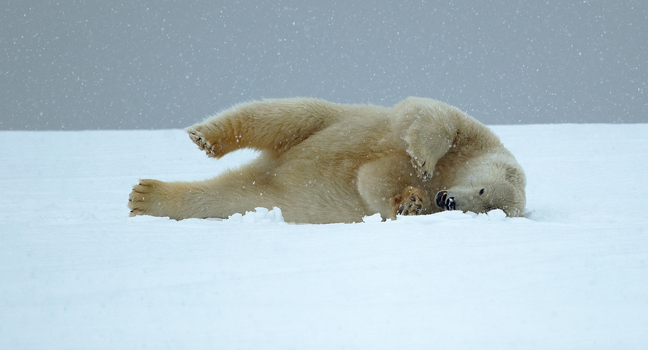 A polar bear’s stomach can hold an estimated 15-20 percent of its body weight. 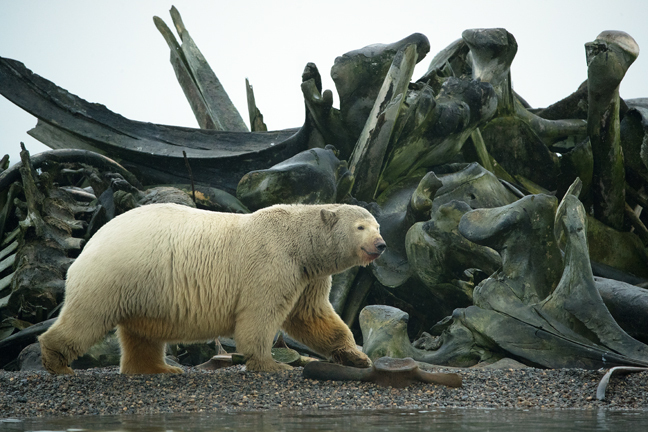 A polar bear's life cycle is closely tied to sea ice. Scientists believe polar bears are unlikely to survive if ice-free periods exceed their fasting ability (220 days) if other food sources, such as whale carcasses or other prey are not available. Kaktovik, on Barter Island, encompasses 1 sq. mile of land and has a large pond of fresh water on high ground. It was an important stop for commercial whalers during the 1890s and early 1900s. In 1923, Tom Gordon established a fur trading post for the H.B. Liebes Company of San Francisco. Residents of the region were semi-nomadic, moving from place to place depending on the availability of fish, fur, game and marine mammals. Beginning in the 1920s fur trapping was a good source of cash income, replacing caribou as a trade good. But the price of fox fur dropped in the late 1930s, and trading posts along the coast closed one by one. The post at Barter Island closed following Gordon's death in 1938. Although World War II had little effect on the region, the installation of the Distant Early Warning (DEW Line) system on the island during the 1940s displaced many local residents. In 1947 the U.S. Air Force constructed a runway and hangar on the historic village site, forcing residents to relocate. In 1951, the entire area around Kaktovik was made a military reserve, and people were required to move again. The village was moved once more in 1964, but this time, residents received title to their village site. Jobs resulting from government activities in the region and the subsequent establishment of a school caused the Barter Island population to increase from less than 50 people in 1950 to approximately 150 in 1953 when several families returned from Canada. The bowhead whale has the longest baleen of any whale in the world with the plates reaching 16.5 feet in length. It was a primary target of commercial whalers and hunted to near extinction in the middle of the 20th century. Four of the five remaining populations of bowhead whales remain Vulnerable, Endangered or Critically Endangered. Found only in Arctic and sub-Arctic regions, few other large whales range this far north. The distinctive double-humped profile of the bowhead whale at the surface and lack of dorsal fin allows it to be distinguished from any rare visitors. Bowhead whales are rarely found far from the edge of the pack ice and are the only large whales to live exclusively in the Arctic. Discoveries of two stone harpoon points from the late 19th century in the skull of a whale killed by Inuits in 1993 proved that the bowhead whales can live to be more than 200 years old, one of the longest-lived mammals known to science. ￼￼The International Whaling Commission (IWC), at its 64th Annual Meeting in Panama City, Panama, today approved by a vote of 48 to 10 (with two abstentions) the joint request from the United States and the Russian Federation to set catch limits for aboriginal subsistence whaling on bowhead whales. The Commission adopted catch limits for 2013 through 2018 that allow Alaskan and Chukotka native whalers to land up to 336 whales to meet subsistence need over the next six years. This is a great day for our Alaska communities. The IWC’s action today means that we will be able to continue to put food on our tables and conduct our whaling using the same number of strikes as we have for the past 15 years. The whaling captains of the AEWC would like to thank the IWC and the US delegation with all our hearts. We also thank our fellow whaling captains and their families for their prayers and steadfast support for the AEWC. The catch limits adopted by the IWC also include an annual limit on the number of bowhead whales that may be struck each year and the limit adopted today is the same as the one that applied for the past 15 years. The United States and Russian Federation allocate the available strikes between Alaska Eskimos and Chukotka natives under a bilateral agreement. Under the agreement for 2012, 75 strikes were allocated to the eleven Alaskan villages represented by the AEWC and 7 strikes were allocated to the Chukotka natives. It is anticipated that the same allocations will be agreed for 2013. Climate change is causing temperatures in the Arctic to warm faster than in other parts of the world. The result is more melting of sea ice and more open water causing polar bears to swim longer distances to find suitable ice for hunting. In a recent study, researchers identified more than100 long distance swims by polar bears in the Beaufort Sea with a median length of 57 miles or 3.4 days. On average, polar bears can swim at about 1.25 mph. The increase in the number of bears making such a swim was directly proportional to the loss of sea ice in the area. All of the adult bears in the study group survived, but there is no data about how many lost cubs, who were not able to survive such long distance swims. 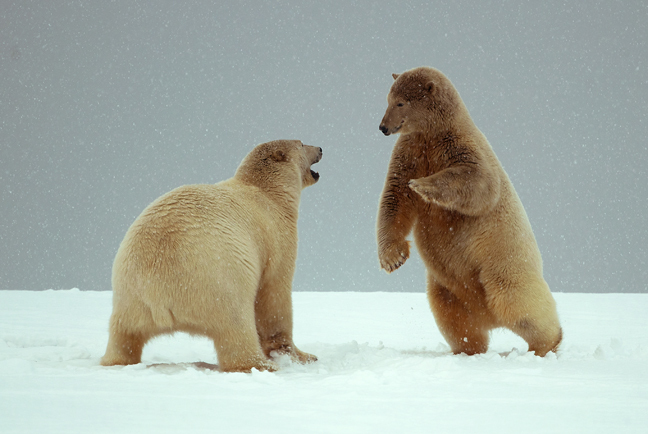 Unlike brown bears, polar bears are not territorial. 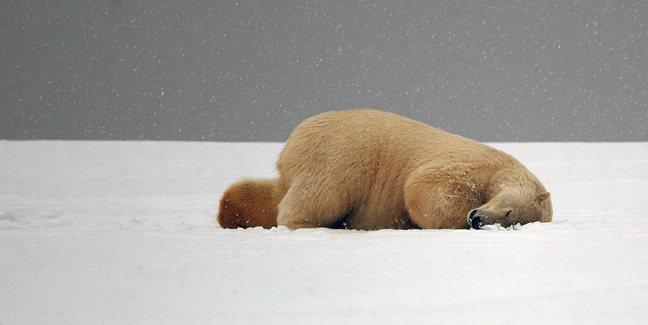 In general, adult polar bears live solitary lives. Yet, they have often been seen playing together for hours at a time. 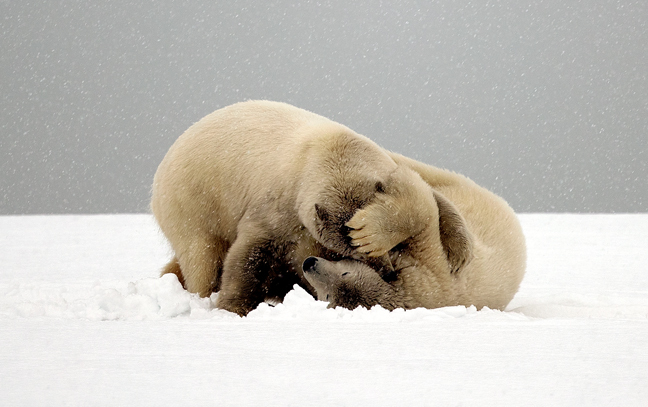 Cubs are especially playful. 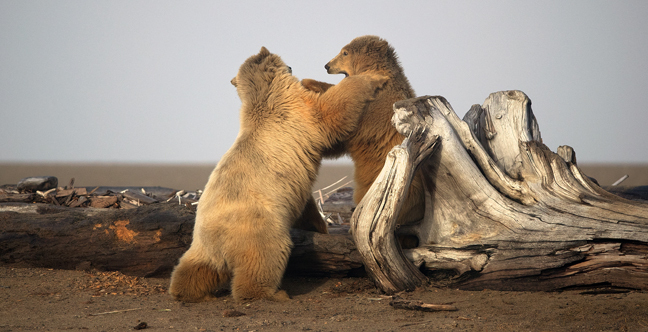 Among young males in particular, play-fighting may be a means of practicing for serious competition during mating seasons later in life. Polar bears hunt primarily at the interface between ice, water, and air; they only rarely catch seals on land or in open water. 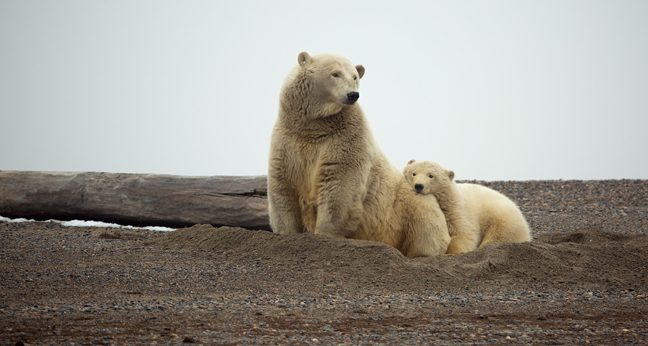 Female polar bears are noted for both their affection towards their offspring and their valor in protecting them. The key danger posed by climate change is malnutrition or starvation due to habitat loss. On our last morning at the bone yard, a barbed wire fence surrounding one of this year’s bowhead carcasses had been installed. The purpose of the wire was to collect fur for DNA recognition as the bears moved in and out of the area, but bears also suffered cuts and other injuries from the fencing.